This one is for the new baby cousin. I used Missouri Star Quilt Company's tutorial Disappearing Pinwheels. The quilt measures 46"x46". This one is for her sick friend. She has been in the hospital for almost two weeks. She was life flighted twice to two different hospitals. They came very close to losing her. Praise God she is on the mend!! The quilt measures 65"x65". When I found out Brooklyn's ill friend had a baby sister, I had to make one for her, too. I used much of the same fabric so they would be alike and yet not identical. Two of the blocks were orphan blocks that I was able to make work. =) The one measures 43'x43". Hope all is well for all of you! Glad to hear that your absence was simply a "busy" absence and not something problematic. I love the beautiful quilts you have made. Take care, and glad to see you back! Such cute quilts :)Great fabrics! I'm glad to read that the wee one is on the mend and I hope she has a speedy recovery. How very like our heavenly Father you are! He said he would send us a Comforter,....and you are doing the same thing for these precious girls ! They are beautiful quilts, too, and I am sure they will gladden the hearts of both families . Such beautiful, happy quilts! I'm al three gals will love them. All three quilts are very sweet. Such a comfort for these little ones. Your quilts turned out beautiful! These quilts are just beautiful! Three lucky girls and I'm so happy to hear that the one who was so ill is doing better. Just Wonderful!! You are one special lady!! Amazing! Amy, these are so pretty! I know each quilt will be a comfort to them and a smile for the bright spring colors during this winter that seems to have no end in sight. Very nice quilting. Sew cute, and sew sweet. 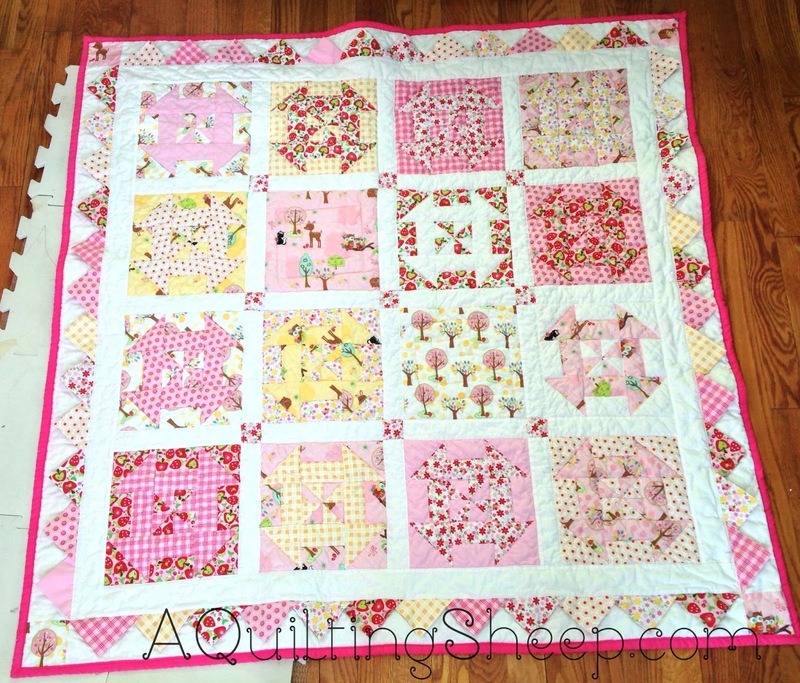 I'll be making a pink and white quilt like the top one for my aunt's soon to be first great grandchild. The second quilt is lovely. You have such a generous heart, Amy. Those are all very beautiful quilts and they will be treasured, such a kind and generous sweet lady you are!! 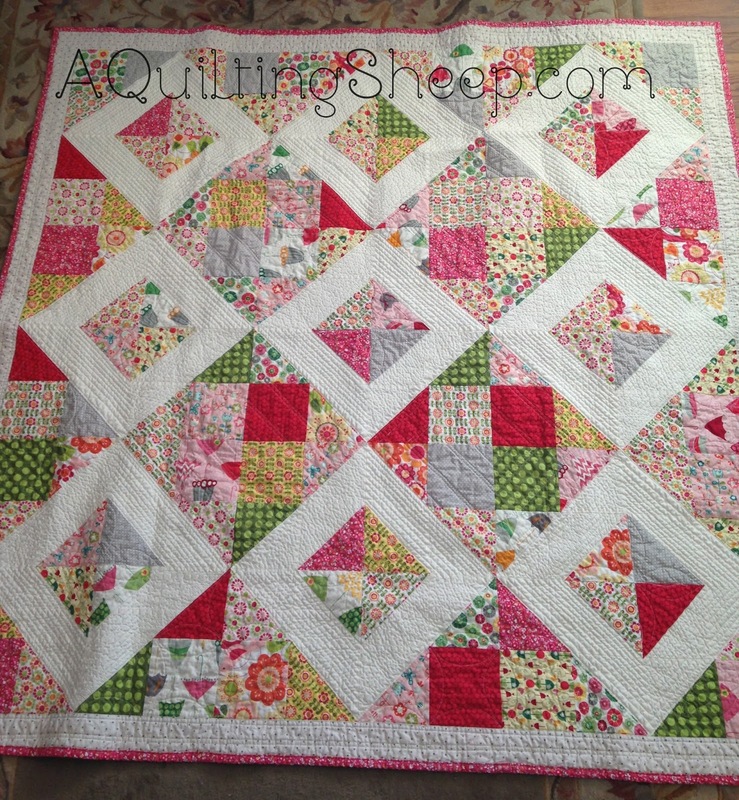 SO happy to hear you are quilting and they are ALL wonderful ! ! Keep warm ! 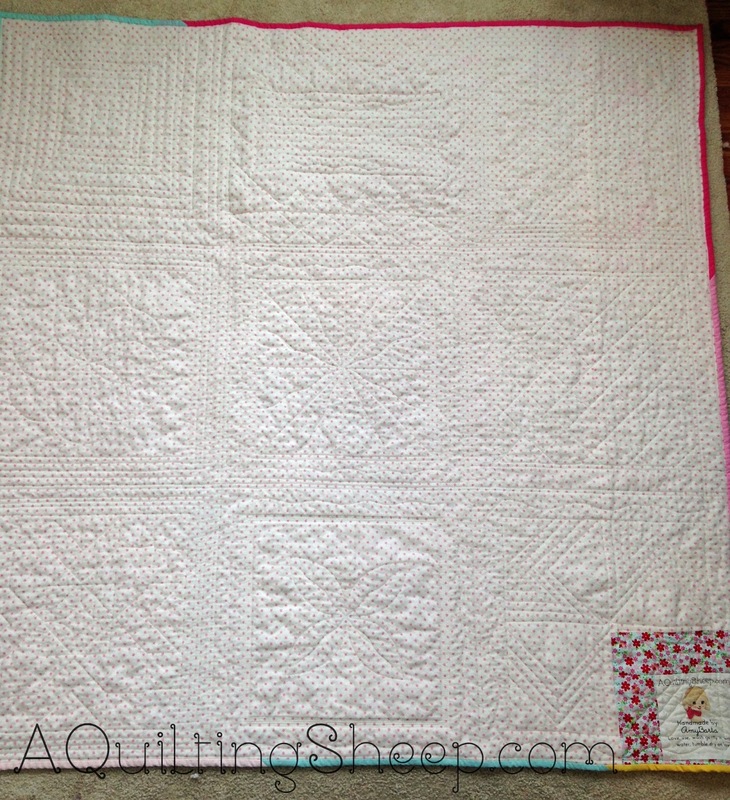 You are a wonderful quilter Amy. These are some very lucky girls to get quilts made with such love and prayer. Oh Amy bless you - you have such a beautiful heart. These quilts are just gorgeous. Bless you, Amy! Your loving heart and kind, thoughtful gifts are a blessing to those families! Beautiful quilts look even better with a custom label! What sweet gifts! I'm sure they'll bring comfort and healing. 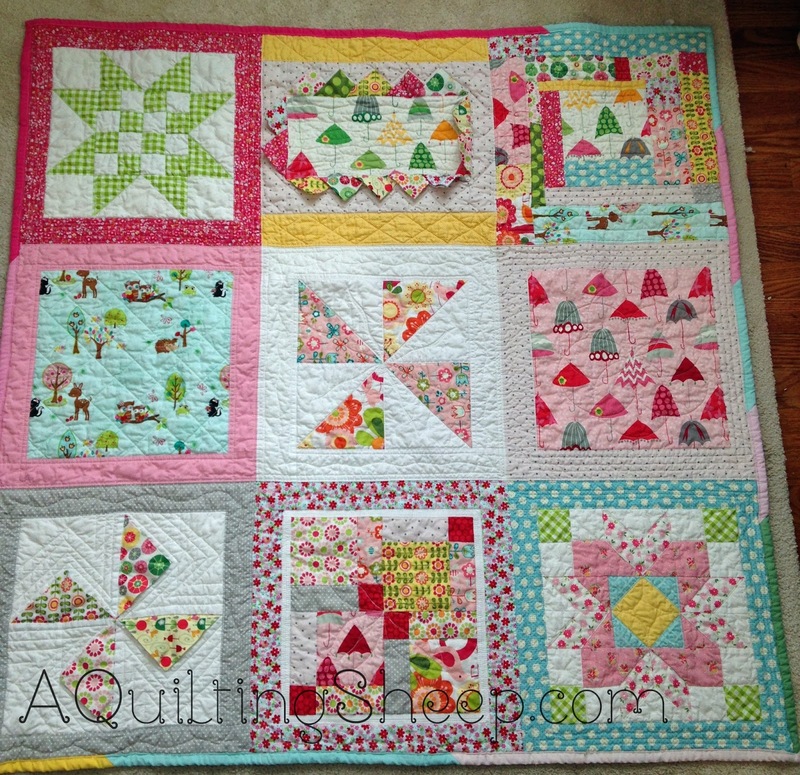 Oh Amy your quilts are wonderful, and what a great gift for Brooklyn to give to her friends. Love your prairie points! Love love your quilts!!! The fabrics are so soft looking! Oh Amy, this was so kind of you. I love them all and they will be well loved also.. 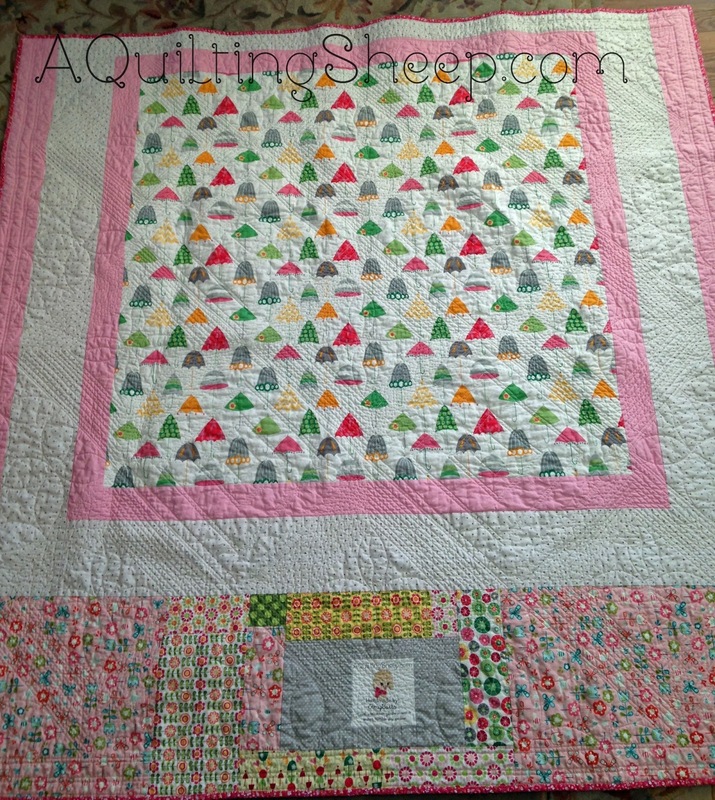 Such lucky girls to have one of your beautiful quilts!